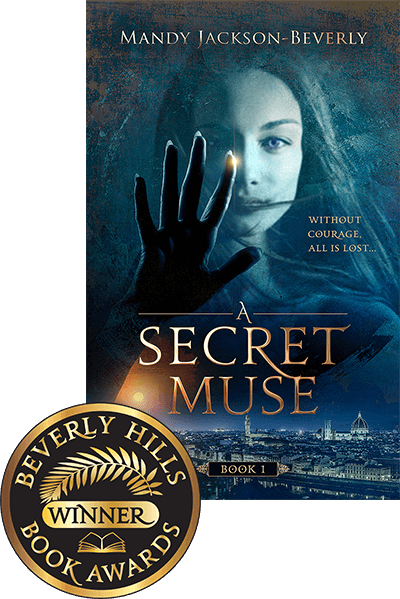 To answer this question I need to start with the first book in The Creatives Series, A Secret Muse. The story unraveled itself slowly over a period of a few years, but the catalyst of Coco Rhodes and the Allegiance came to me in a moment of separation anxiety early in 2014. At the time, I was teaching art at a high school situated on nearly two hundred acres in Southern California. One evening, while going over my Advanced Placement Art student portfolios, I reached out to one particular painting, purely because I was so taken with the beauty and the creative power of the piece. I observed every brushstroke, the tone of the colors, and the emotions it brought out in me, and then realized my cheeks were wet with tears. When I thought of my students venturing off to college and work, I wanted to protect their hearts from the harshness of the real world. But in reality I knew that no matter how cruel the world can be, these contrasts of life are also a vital part of the puzzle of inner growth that would help stretch my student’s creativity to a new level. What I was experiencing was similar to saying goodbye to my sons when they left for college. A few hours later, I packed up my car and stood in the dark for a moment and listened to the sounds of the oak woodland around me. That’s when Professor Coco Rhodes, and her protector and leader of the Allegiance, Gabriel, came to me. I imagined a world where artists were honored and treasured for their creativity – a world where something or someone would keep artists and their artwork safe. Deep down I guess I crave another Florence Renaissance, and Lorenzo di Medici. 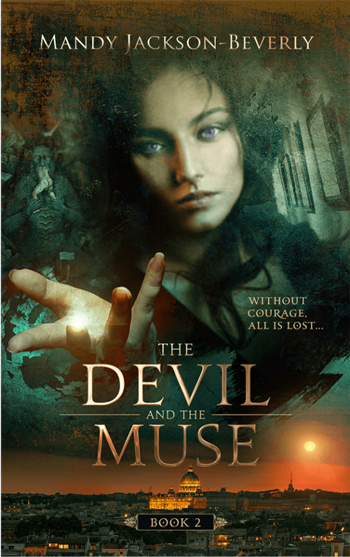 As for book two in the series, The Devil And The Muse, I knew this book would tell the backstory of Kenan; what made him so evil, and devoid of his past humanity. The challenge was to link Kenan’s backstory into present day. As it happened, my research led me down a rabbit hole where present day events collided with history and fiction. My hope with book two is to bring awareness to three areas: young girls missing in the United States, the misrepresentation of religion in politics, and the never-ending fight for women’s rights. And of course, for my readers to enjoy the ride! There are definite themes covered in The Devil And The Muse that I felt compelled to write about, specifically women’s rights. My research of the Inquisition and witch-hunts during the latter years of the Middle Ages, and the horrific treatment of thousands of innocent victims who were tortured and often burned at the stake, seemed at such odds with the way women were treated in similar geographical areas just a few centuries earlier. A good example is perhaps, Trotula of Salerno, a recognized female physician at the Scuola Medica Salernitana around the eleventh century. Trotula taught at the school and cared for female patients. She also wrote works on the diseases of women, conception and childbirth. And yet here we are centuries later, in the Unites States, still fighting for our rights as women to choose our own health care. This concept of the decline of respect that so many women faced in Europe during the late Middle Ages, is the subject I consider to be the backbone of The Creatives Series. I can’t help but wonder if the suppressing of women during that time was the catalyst for the decline of growth in so many areas. While many men wanted to dominate and repress women, often through the strict confines of the Catholic Church, there were also men who honored the feminine and put their love for others before the words of fear spewed out by religious extremists. Sadly, these men with balanced egos seemed to be less of the populace. Do you have a favorite character from the story? No, because I love all of my characters equally. I can’t imagine writing a character into a story if I didn’t like him or her.